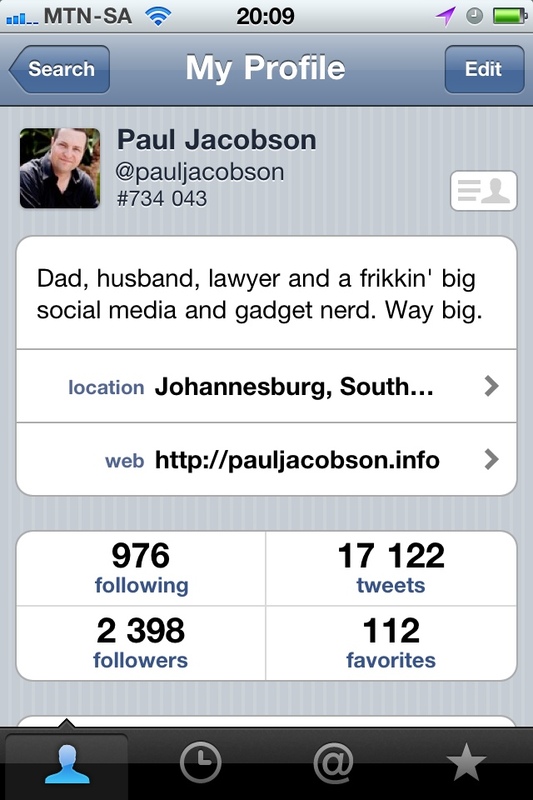 Posted byPaul	 2011-03-11 Leave a comment on Early Twitter adopter? I noticed this number on my Twitter profile a little while ago. If I understand that number correctly I was in the first 750 000 people to sign up for Twitter. Could that be right? Hmmm… is that the Android app? I’m wondering where to find this number via the PC browser interface, since my ‘Droid device is only likely to arrive tomorrow. think the Twitter site displays it though. Dude, you are a very early adopter when it comes to social networks so I wouldn’t be surprised if this was the case 🙂 pretty cool actually!